Welcome to the Leafly List for Arizona, April 2015 edition. 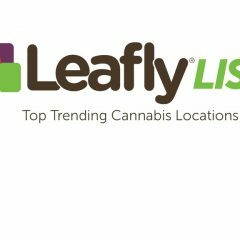 The Leafly List ranks the top-trending dispensaries and retail stores in each of the major US cannabis markets every month. This region-specific version is designed to provide helpful, community-based information for cannabis consumers looking for the most relevant dispensaries in Arizona. It highlights the most talked-about locations in the state, based on customer engagement metrics and reviews of each location’s quality, service, and atmosphere.